I’m very, very late to this not-so-scandelous expose on Trader Joe’s, but thank you Forbes (and Huffington Post for your round up with photos) for pointing out that more is not always better. 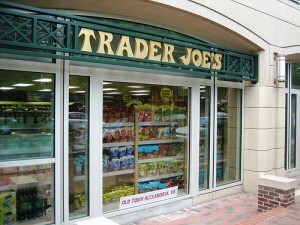 I’m Trader Joe’s crazy, so not much of what the article reveals surprises me. But I love how the writer hit on the main reason I shop there: lack of choice. I love how shopping at Trader Joe’s requires making almost zero decisions!